Tipton F. Rowland acquired Memphis, Tennessee-based Robinson & Son Tree Service, his grandfather’s company, in 1989 and incorporated it under its current name, TFR Enterprises, Inc. A disaster service division was created in 1992. This division manages debris after major events such as hurricanes, floods, ice storms, tornados and earthquakes. 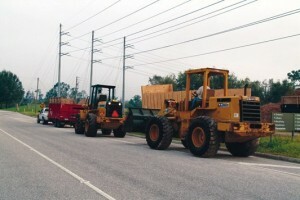 Projects that have been undertaken and successfully completed under his supervision include vegetative and C&D debris removal from Right-of-Way, Right-of-Entry, vegetative and C&D debris removal from streams and canals, Temporary Debris Storage and Reduction Site (TDSRS) management, weed and brush control services, tree pruning, trimming and removal services, mulch and compost production services, vegetation debris incineration (both open burn and air curtain), vegetative reduction by grinding, separation and recycling of C&D debris and demolition of residential structures. Mr. Rowland has overseen 100+ separate disaster response projects, federally funded by the Federal Emergency Management Agency (FEMA). By providing “hands-on” oversight as President and Chief Executive Officer of TFR Enterprises, Inc. he has successfully performed as a damage assessment evaluator, cost proposal estimator, project supervisor, safety and compliance officer, and has assisted in interacting with local government officials in developing debris management policies in compliance with State and Federal (FEMA) reimbursement regulations. Julie Rowland joined TFR in 1989 and has served as Administrative and Financial Accounting Manager for all projects. Ms. Rowland is in charge of financial record keeping and system requirements for the company and she serves as principal advisor to the CEO on all matters relating to cooperative agreements and procurement. She is also responsible for providing outside agencies with the necessary financial information. Ms. Rowland oversees the preparation of financial statements and income tax filings. She attended the University of Texas and received a B.A. in Communications from the University of Memphis in 1992. Ms. Sharon Lyell joined TFR in 2006 following a successful career at Fisher Rosemount Systems, Inc., where she was pivotal in the reduction and accuracy of delivery times and ensure the vitality of operations by coordinating with the finance, scheduling, materials and manufacturing departments. This experience primed Ms. Lyell to seamlessly step into the role of Project Administrator in which she manages all subcontracting and employee resource needs for any and all FEMA declared disaster projects. Ms. Lyell’s duties include any and all subcontractor records including Subcontract Agreements, appropriate certificates of insurance, work orders, lien releases and subcontractor payouts in addition to the preparation of all Certified Payrolls for Federal Projects. Furthermore, she has been cross-trained in appropriate TFR accounting processes and managed accounts payable and bank reconciliations to ensure operations run efficiently and smoothly. Ms. Lyell is currently pursuing her B.S. degree in environmental science. Mr. Rolison has many years experience in the disaster management industry and extensive experience in heavy-equipment, including knucklebooms, heavy haulers, self-loaders and grinders. Mr. Rolison came to TFR in 2002 as a CDL; Class A driver working on storm-related projects in Virginia. In 2004, Mr. Rolison served TFR as a project supervisor on various projects resulting from Hurricanes Charley, Fran, Jeanne and Ivan in Florida. He continued as a Project and Site Manager in 2005 and 2006 on jobs in Louisiana and Texas resulting from Hurricanes Katrina and Rita. Prior to coming to TFR, Mr. Rolison owned and operated his own hauling business, Rolison Trucking, Inc. In addition to his current role, Mr. Rolison has extensive knowledge of the maintenance and logistics of debris removal equipment, including Sterling Self-Loaders, knucklebooms and Diamond Z Grinders. Mrs. Wilkes is a graduate of Texas A&M University and has been responsible for all aspects of office personnel and communications. She has been responsible for the oversight of bid and contract documentation and management, and serves as the key administrative contact in the home office for project supervisors in need of additional resources in the field, such as equipment-rental, fuel companies, sub-contractors, local temporary labor agencies, etc. Mrs. Wilkes also represents TFR Enterprises at national trade shows and conferences, exhibiting the company’s services and capabilities. In addition Mrs. Wilkes has served as project manager following Hurricane Sandy in 2012 and the Oklahoma tornados in 2013.